Choose where to drop anchor! Choose one of our recommended cruise programs or plan your own! Book your own private cruise boat! 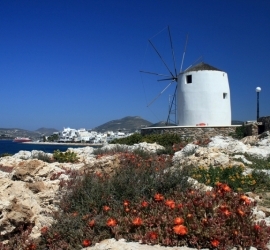 Discover and enjoy the captivating beauty of Mykonos & nearby Islands! 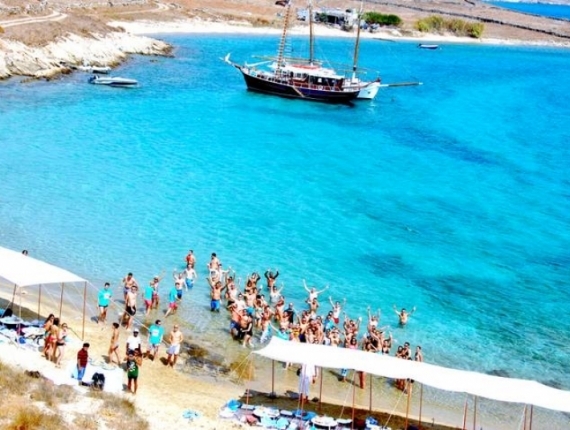 Explore Mykonos, Delos & Rhenia islands! Come on board in one of our shared cruises and enjoy the sea & the sun! Make your visit to Mykonos a great holiday experience! Offer an unforgettable day to your friends and family! Relax in comfort and enjoy the beauties of Aegean sea in one of our cruises! 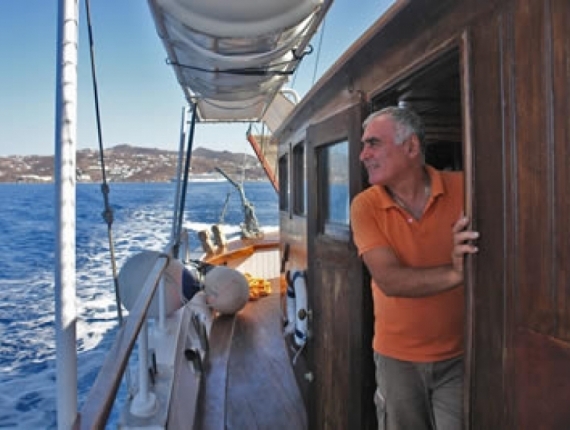 Our 40 years of sailing experience will be your guarantee! 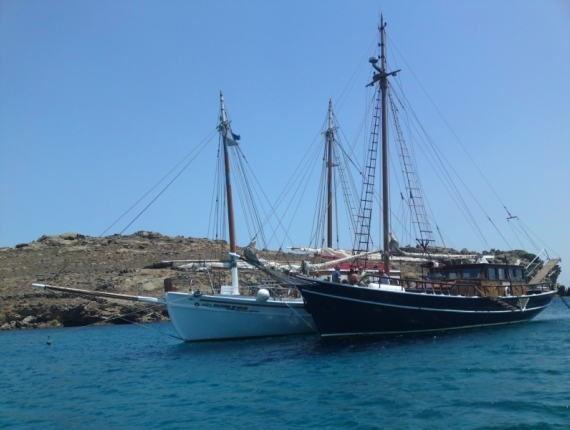 The ideal way for everyone to discover and enjoy the beautiful south coast of Mykonos! The Cycladic Sisters, Mykonos, Delos and Rhenia, are among Greece's most precious treasures. 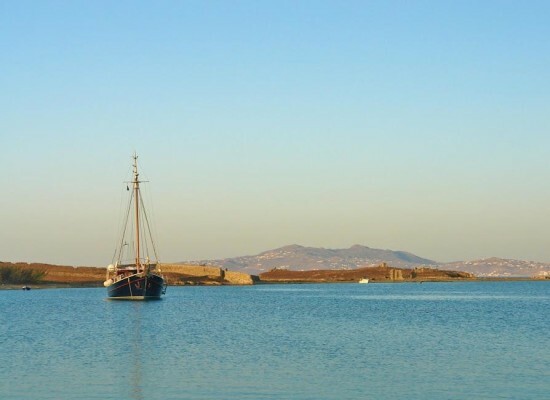 The most beautiful way to explore in a Full-Day-Trip, Paros and Naxos islands! Explore the Aegean sea with your own private cruise boat combined with exceptional service by our well trained crew, delivering the meaning of Greek Hospitality. Whether you just want to spend the day relaxing, exploring the famous archaeological site of Delos island, socializing with your friends and family, or enjoy the clear crystal waters in more than 20 of the most famous or well hidden sandy shores, our cruises are ideal for everyone! Even if you feel like celebrating your birthday in style, throwing a bachelor’s party, enjoying a honeymoon sunset cruise never to forget, then our sail boats are exactly what you are looking for! Either you want a couples only magic sunset or an unforgettable day to offer to your friends and family our cruise boats are certain to accommodate even your most demanding request, since our two boats can be combined at a total capacity of up to 100 persons! The Captain of your boat will recommend you the best route according to his knoweledge but since all the places you will visit are attractively different it will be you to choose where to drop anchor! Throughout the cruise our crew will be at your disposal all the time offering you the most authentic Mykonian hospitality! It is an old tradition to be a captain in Faroupos family that's why we know that safety comes first! Our handmade and specialy designed for Cyclades weather cruise boats, are in accordance to strict safety regulations approved by the greek ministry of shipping and each of them is fully equipped with all modern safety equipment such as life jackets, life boats, visual /sound alert devises, GPS system and an inflatable boat. I simply wanted to thank you because everything was perfect! Everybody has been really happy about everything the boats, the lunch, the fish, the captain! Thanks again and hope to come back soon in Mykonos. 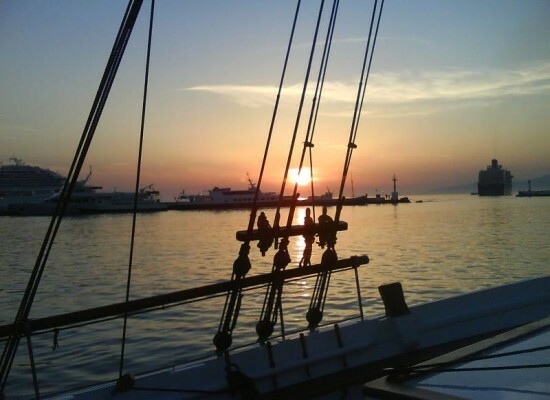 Our guests had a fantastic sunset cruise in Mykonos! Thank you very much for your kind assistance. Une manière de voir Mykonos autrement, la croisière était parfaite dans un bateau classé. A refaire. This cruise was fantastic. I strongly recommend it. The barbecue at Rhenia was excellent in a friendly environment. How can we Thank You? We had an amazing tim‎e! Our group could not been more happy! Nine of us went on a day trip to the island of Delos then to the captains home on the Island of Rhena where lunch was cooked. This was absolutely the highlight of our holiday. If spending a few days in Mykonos or just on a cruise ship stop, do not think twice and book this trip! We organized a party on the boat, we saw the sunset from the sea, all my friends were happy. 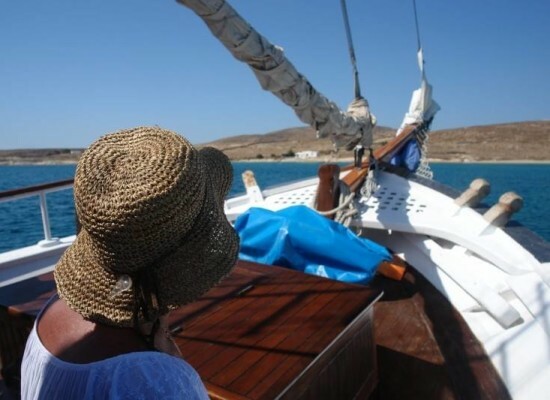 Another way to discover Mykonos! The cruise was perfect, service was excellent! We had a GREAT time. 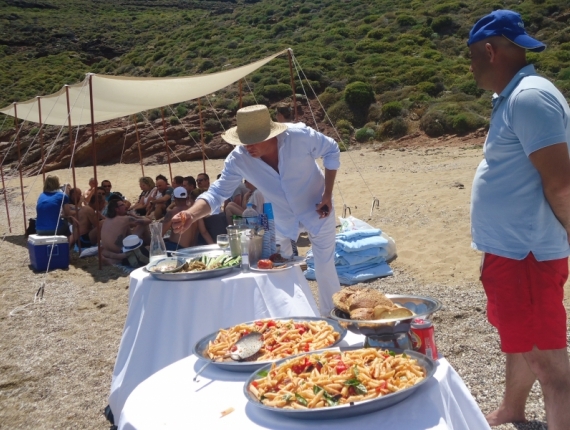 Everybody loved the trip to Delos, the ruins, the guide, Captain Panayotis, the boat, the food, everything! You were a great support and advisor, you did a great job apart from being very nice and professional to deal with. I booked a day cruises with Aegean Ventures for my birthday. I have to say that everyone of my guests loved it! The cruise with the Quarantine was perfect. Thanks for everything. It was great to deal with you and the “fisher man”! 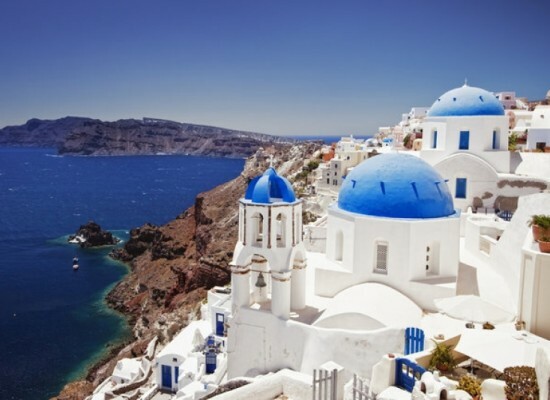 Aegean Ventures organizes cruises on shared & private basis in one of the most famous worldwide holiday destinations! 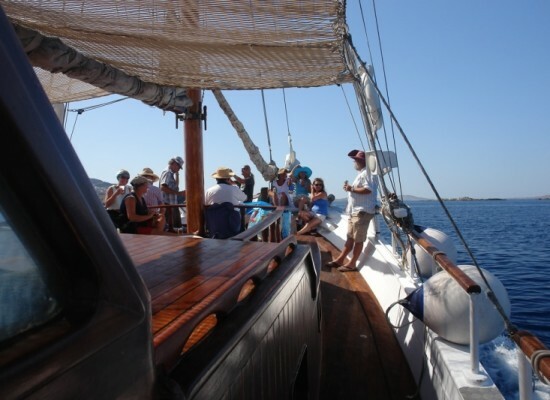 Rent a private cruise boat for your group only or come on board in one of our regular shared cruises and discover the unique beauties of Mykonos, Delos & Rhenia islands. 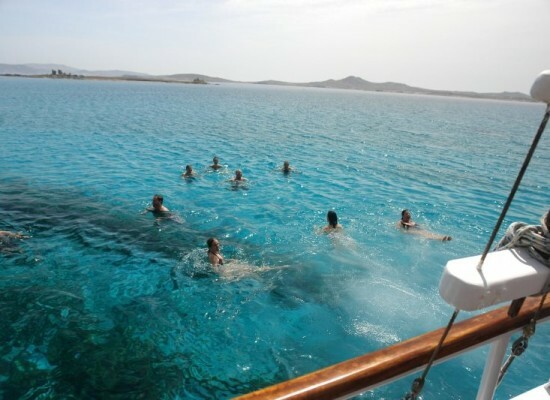 Whether you just want to spend the day relaxing, exploring the famous archaeological site of Delos island, socializing with your friends and family, or enjoy the clear crystal waters in more than 20 of the most famous or well hidden sandy shores, our cruises are ideal for everyone!